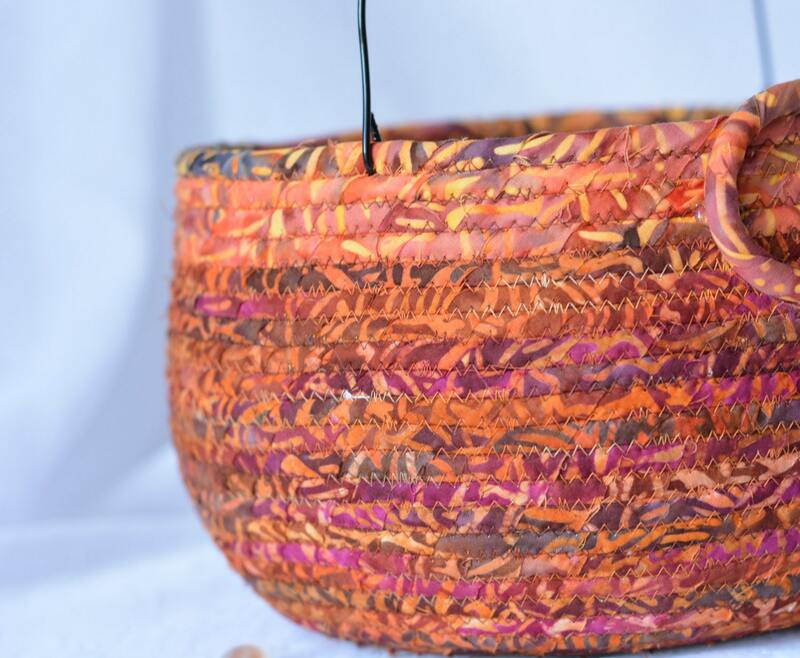 Artisan Batik Basket Measures: 5"H, 10" diameter top. I hand wrapped these wonderful rustic batik fabrics around cotton line, which I then hand coiled and machine quilted to make it sturdy. I used the raw edge technique with a little fray for a great shabby chic texture. These rich batik fabrics show on the inside too! All 3 are 100% cotton! 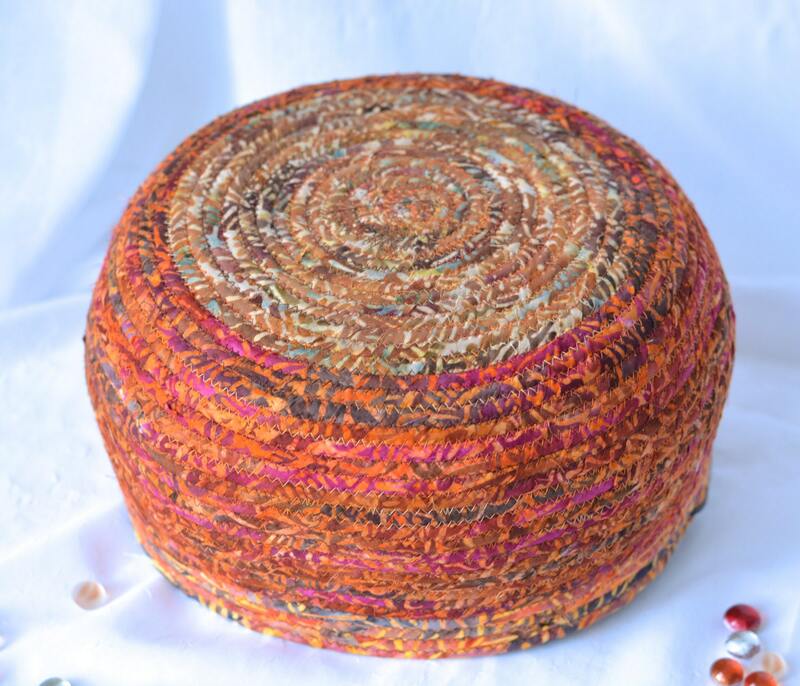 Lovely rich orange highlights that give it a nice pop for your table! Lovely Decorative Bowl! Log Cabin Decor! Farmhouse Basket! Unique Candle Holder! 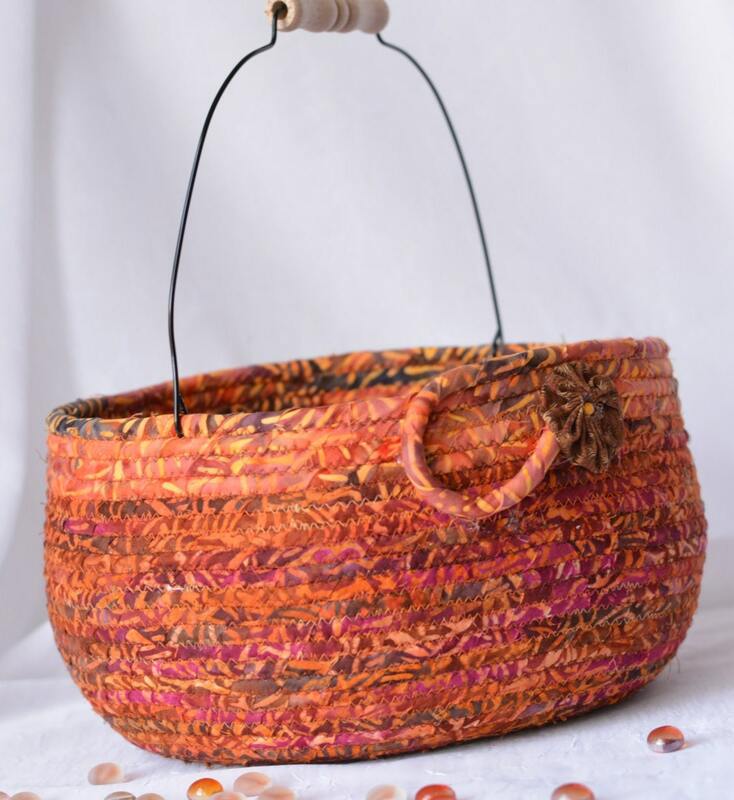 Rustic Batik Farmer's Market Basket! Lovely Gift Basket! Napkin holder! So many uses!! 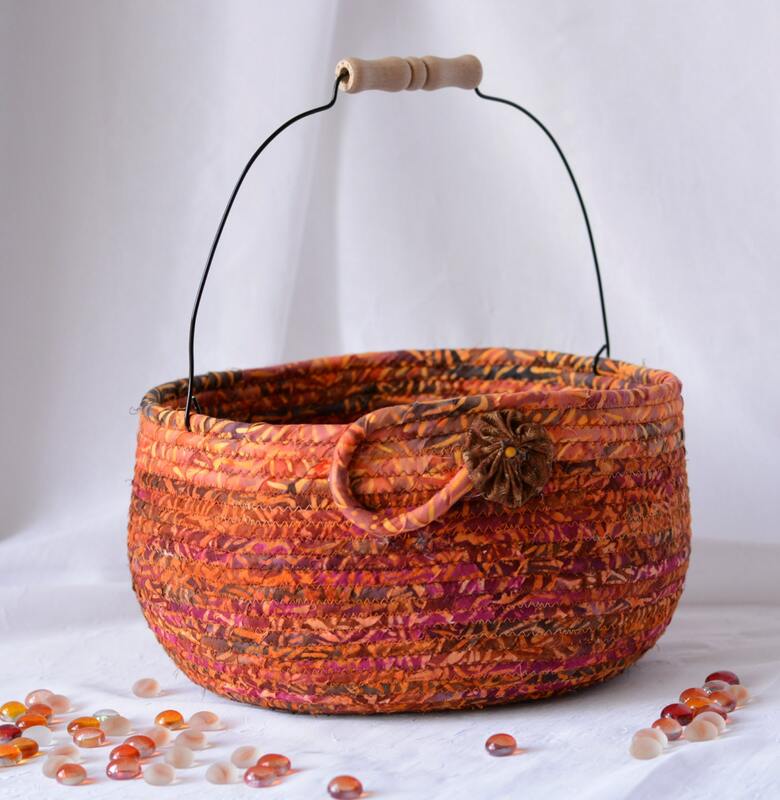 The cute button on the basket is included for a nice accent. Hand wash, gentle, separately, with cold water, reform/lay flat and air dry only. 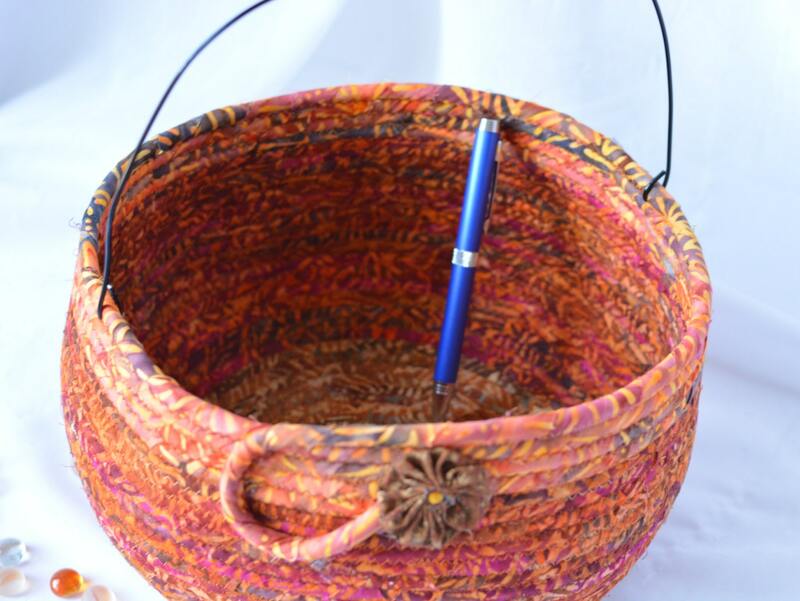 I designed and created this lovely basket in my smoke-free home studio. Glass bead props not included.